No, a skateboard is not just a board on wheels. Like most things in life, it is composed of various parts that allow it to move. So for all those inexperienced riders out there that don’t know much about skateboards, here is a list breaking down each vital element of the board. 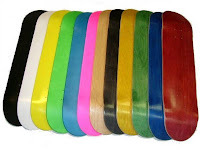 Deck – The deck is the actual board part of the skateboard. The skateboarder’s height is crucial to finding the right deck size. If you are on the shorter size, 4’ and under, try a deck that is 29” long. If you are 6’ and above, try a deck that is 32.4” long. Riders who are in the middle of those heights choose accordingly, if you are closer to 4’ choose a deck that is longer than 29” but shorter than 32.4”. The width of most skateboards is between seven and eight inches, but if you are blessed with larger feet choose a bigger size. The last, and best, part of a skateboard deck is the graphic. Have fun with it and choose a brand that stands out to you. Trucks – Connecting to the bottom of the deck, the truck stables the skateboard while allowing it to turn. The wheels then mount to the truck. It is important to pick a truck that is the same width of the deck. The trucks contain a part called brushings, the spongy circular piece that supports the truck when it turns. The brushings come in different grades: stiff, medium, and soft. Softer bushings allow the skateboarder to turn easily, where the stiff bushings support the board better—probably best for beginning riders. 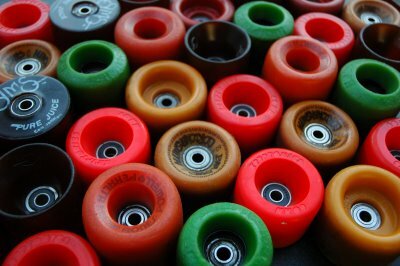 Wheels – You would think that the wheel is simple: it makes the skateboard go. However, factors such as diameter and durameter (how hard or soft the wheel is) effect the way of the ride. If your sole purpose is cruising the ramps, you’ll want a larger, harder wheel. Large wheels roll faster allowing the rider to get air and make it up to the top. Street riding more your style? Choose wheels that are smaller and lighter, but still hard. With smaller wheels, you are closer to the ground, which makes it easier to do flip tricks. If you want a board for both ramp riding and tricks, you’ll want a softer wheel that balances your speed and weight. 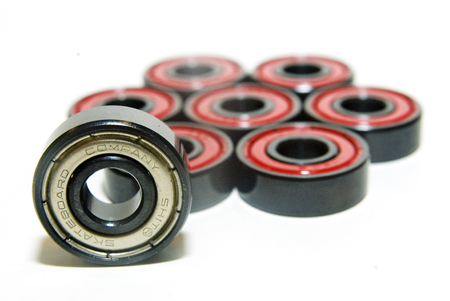 Bearings – These are the little metal rings inside of your skateboard wheel. The bearings are rated on a scale from 1-9. A skateboarder needs precise, durable wheels that will last through the abuse of jumps, grinds and rides. A good bearing would be between a 3-5. Riser – The part between the truck and the deck. The risers help prevent the deck form cracking while relieving stress from the trucks. 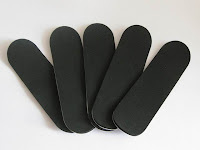 Griptape – The black, sandpaper like material attached to the top of the deck. The name says it all: helps the rider grip the skateboard to prevent falling (though that happens no matter what, especially in the beginning days). 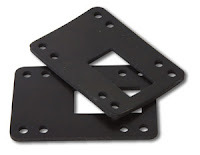 Each of these pieces attach together with various nuts, bolts, and screws. Feeling crafty? Try building your own skateboard! Let us at StoreYourBoard know how it turns out by sending us a picture through our email or posting it on our Facebook page! In your search for the perfect skate deck did you find one that is just too nice to even skate? 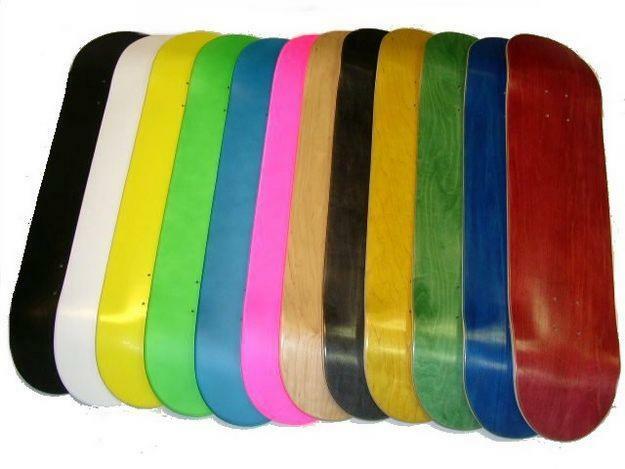 Check out a skateboard deck display, they make your deck look like art in your house. I am really impressed with your article. This is wonderful content of Skateboard Parts. This article is helpful for those who are learning to skate lately. I will share with my friend, certainly.